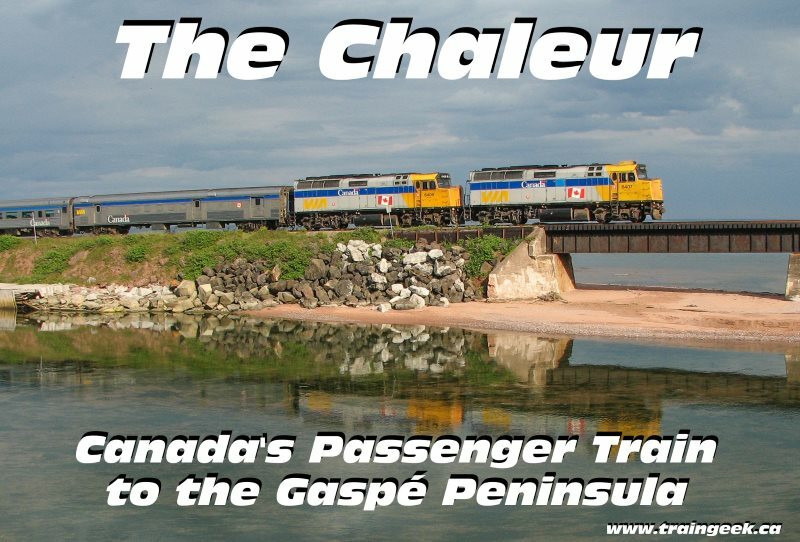 The full video runs for 65 minutes and follows the Chaleur from Matapédia to Gaspé in 2007, as well as the combined Ocean and Chaleur from Causapscal to Matapédia in 2009, where the Chaleur proceeded to New Carlisle and turned on the wye. Each location is identified in the full video via subtitles and some information on the over 20 different locations is presented. Full run-bys of the trains are shown. The video is not narrated. The full video is available for download for CAD $14.99 – or for rent for CAD $4.99 -at GumRoad. A “highlight” video is also available that shows the best locations on the trip through the Gaspé Peninsula. The running time is 32 minutes and features many beautiful locations. It is a subset of the full video. If you join my mailing list, you will be sent a special discount code for 20% off either video! You’ll be sent the code soon after joining and you can apply it at checkout. If you have any questions, please contact me and I’ll be glad to assist.